If you have any questions about the KAPALUA information page below please contact us. The good sized superyacht KAPALUA is a motor yacht. This 35 m (115 ft) luxury yacht was produced at Crescent in 1996. KAPALUA was formerly named Warrior; Blind Faith. Superyacht KAPALUA is a striking yacht that can sleep up to 10 passengers on board and has around 4 professional crew. The private motor yacht was created by a naval architect called Jack Sarin. Bill Scales/Barbara Johnson undertook the designing of the interior. The yacht's general design work came from Jack Sarin. The professional naval architecture intellectual property are the products of Jack Sarin. Motor Yacht KAPALUA received her elegant interior designing from the interior design office of Bill Scales/Barbara Johnson. In 1996 she was actually launched with celebration in Surrey Bc and following sea trials and finishing touches was then passed on to the new owner. 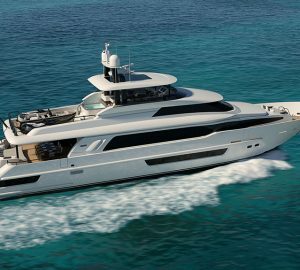 Crescent completed their new build motor yacht in Canada. The hull was crafted from composite. The motor yacht main superstructure is made mostly with composite. With a width of 7.62 m or 25 ft KAPALUA has moderate internal space. A fairly shallow draught of 2.16m (7.09ft) determines the list of worldwide ports she can enter, taking into account their minimum characteristics. She had refit improvement and modification completed in 2007. She makes use of twin ample MTU main engine(s) and can drive at a impressive continuous speed at 18 knots. The main engine of the yacht gives 2285 horse power (or 1681 kilowatts). Her total HP is 4570 HP and her total Kilowatts are 3363. Her propulsion units are twin screw propellers. For stabalisers she was supplied with Naiad. Concerning thrusters she was built with Abt. Offering room for a maximum of 10 visiting passengers overnighting, the KAPALUA accommodates everyone comfortably. Under normal conditions she utilises approximately 4 proficient crewmembers to operate. 35.05 metres / 115 feet. Her Engine(s) is two 2285 Horse Power or 1681 Kilowatts MTU. The Model type is 12V 396 TE94 diesel. Cruising at a speed of 16 nautical miles per hour. Her top Speed is around 18 nautical miles per hour. Aqua Air was the outfit which made the AC in this yacht. This motor yacht has a teak deck. 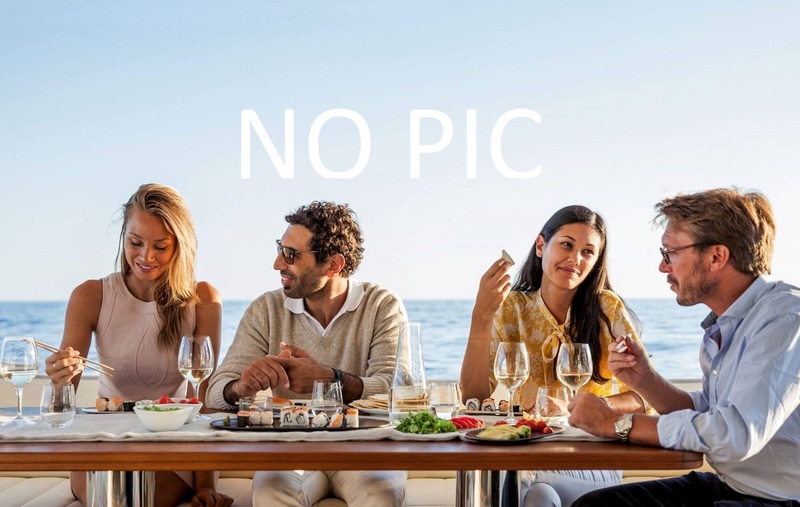 The luxury yacht KAPALUA displayed on this page is merely informational and she is not necessarily available for yacht charter or for sale, nor is she represented or marketed in anyway by CharterWorld. This web page and the superyacht information contained herein is not contractual. All yacht specifications and informations are displayed in good faith but CharterWorld does not warrant or assume any legal liability or responsibility for the current accuracy, completeness, validity, or usefulness of any superyacht information and/or images displayed. All boat information is subject to change without prior notice and may not be current.